If you have been paying attention to the news this week (and quite frankly, I’ve been having too much fun to be paying much attention), you probably know that an unknown hacker broke into the University of East Anglia’s Climate Research Unit (CRU) and released hundreds of confidential E-MAILs. 1 In fact, this has been such a big story that it already has its own Wikipedia entry. What do I think about these hacked E-MAILs? You can find out below the fold. If you don’t understand the context, “Nature” refers to the scientific journal, and “trick” refers to a statistical technique used by Michael Mann and his co-authors in a famous paper that Nature published back in 1998 4. 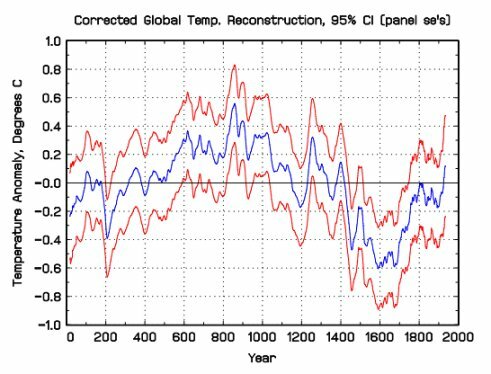 This paper supposedly showed Northern Hemisphere temperatures over the past 600 years, and the trend indicated that the current temperatures are notably warmer than anything else over that time period. 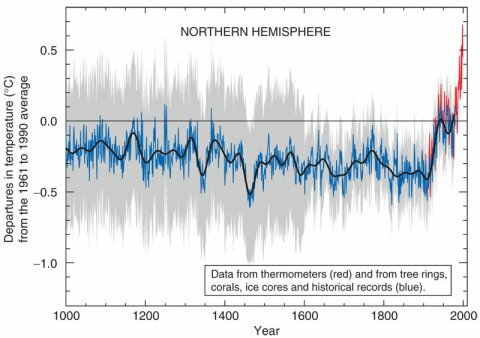 The data from this paper have been expanded over the years, producing the famous “hockey stick” graph, which supposedly shows that the temperatures in the Northern Hemisphere are abnormally warm, even when the past 1,000 years are considered. So the quote from the E-MAIL indicates that a statistical technique was used in the work that generated the famous “hockey stick” graph as well as in some current work being done at the CRU. The technique is meant to “hide the decline” in global temperatures that have occurred since 1998. This is why I prefer to look at temperatures that have actually been measured. 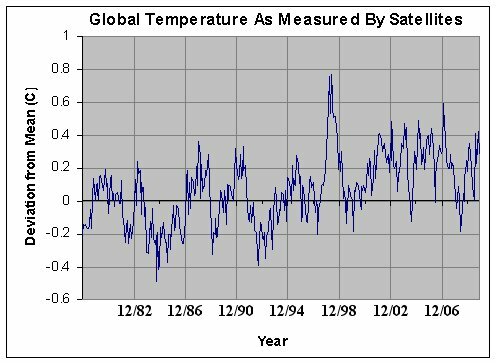 In addition, I like to look at truly global temperatures, which can only be measured by satellites. If we look at just these data, we see no appreciable global warming over the past 30 years6. So while I don’t think these E-MAILs are a “nail” in the coffin of the hypothesis of man-made global warming, I think they clearly show that you must be very wary of believing temperature reconstructions from long ago. Since the people who produce such graphs are free to employ “tricks” to influence what those graphs ultimately look like, it is better to concentrate on real data. When you do that, you see no global warming. This is a common tactic employed by people who cannot answer data that go against their views. Rather than honestly looking at the data and trying to challenge it (or accept it), they try to “redefine” it so that it is “not science.” If you read the comments on this blog, you will recognize this as something “Norwegian Shooter” does very often. Rather than actually providing an intellectual argument for his position, he claims that all data contradicting his views are “unreliable.” One way he tried to do this was to actually redefine what peer review means – just as Jones describes in the above E-MAIL. So these E-MAILs show scientists who are employing statistical techniques to “massage” the data and are discrediting any data that point away from their conclusion. To me, this simply demonstrates how incredibly weak their case really is. Wow. This is *quite* interesting. However, do you believe that it was ethical for the hackers to break into the computer system to expose the lies (if that is what they had planned to do)? Just want your opinion. That’s an EXCELLENT question! I don’t believe the hacker’s actions were ethical. While I do think some good came out of it, that still doesn’t justify the hacker’s actions. The end simply cannot justify the means in any reasonable system of morality. Of course, the fact that the scientists’ E-MAILs were exposed unethically doesn’t excuse the scientists. If they have been manipulating data and trying to exclude research, they should be held accountable. The hacker should also be held accountable for his or her unethical actions. I find it interesting that this person considers people who actually look at the data and realize there is no such thing as AGW to be “cranks.” Ah well, most of the great scientists were thought of as “cranks” at one time or another. By the way, if you really want to learn about global warming, reading a surgeon who is afraid to use his real name is probably not the best way to go about it. Try reading a serious climatologist who is not afraid to use his real name. I have a few questions about your views on global warming. I do not have any kind of scientific training, so I leave interpreting data to people who do. From what I’ve read, it seems that most of those people (climatologists) consider climate change to be a real and serious threat. If the earth is not really warming, then those scientists would have to be either wrong or intentionally misinterpreting their findings. Would you say that the latter is true, and most climatologists are making false statements solely to receive research funding? Or is it incorrect to say that most climatologists take climate change seriously? Another thing that bothers me: Aside from charts and data, there seems to be some evidence of climate change in the natural world. Ice sheets and glaciers are melting, and wildlife is adapting to what looks a lot like climate change in many areas. These things cannot be simply made up, so would you say that they are balanced out by other, less publicized events? I am asking these questions simply because I try to find a balanced view of divisive issues. Most global warming deniers have political interests or are connected to certain think tanks that are funded by polluting industries, while the organizations and individuals that come across as more credible usually accept climate change. So, forgive me for being somewhat skeptical of climate skepticism. I am just looking for a bit more explanation. And, no, I don’t think you are funded by Exxon-Mobil. I strongly disagree that most climatologists think that global warming is caused by people and is a serious threat. In fact, there is a LOT of debate in the scientific literature on this. The link I provided to “Norwegian Shooter” is written by one of the luminaries in climatology, and it discusses specifically how the science is far from settled on this subject. Most climatologists agree that there has been some warming over the past century, but most of it occurred EARLY in the century, long before carbon dioxide levels started to rise seriously. As the data on this post show, the MEASURED global temperatures over the past 30 years have been very steady, despite the fact that carbon dioxide levels have risen over the same time period. This is why the scientific literature shows no consensus on whether or not global warming is caused by people or is a serious threat. Those who say there is such a consensus are either ignorant of the scientific literature or are willfully lying. Please note that ALL organizations and ALL people have political and financial interests. I don’t find the organizations that are convinced that climate change is serious to be any more credible than those that are unconvinced. In fact, I find those organizations that actually look at the data to be the most credible, and those organizations typically do not see climate change as a serious threat. There are certainly signs of global warming, but one would expect that, because the earth has been coming out of the “little ice age” since the 1800s. As a result, the globe is warming a bit, in order to get out of the abnormally cold temperatures it experienced a couple of hundred years ago. In fact, a major study on 169 glaciers shows that a large amount of the glacier melting started in the mid-1700s, and many of the glaciers that were melting over the past two centuries are now growing. [J. Oerlemans, “Extracting a Climate Signal from 169 Glacier Records”, Science 308:675 -677, 2005] This, of course, is consistent with the idea that what little warming has occurred in this century is the result of natural climate variation and has nothing to do with the carbon dioxide that people are emitting. 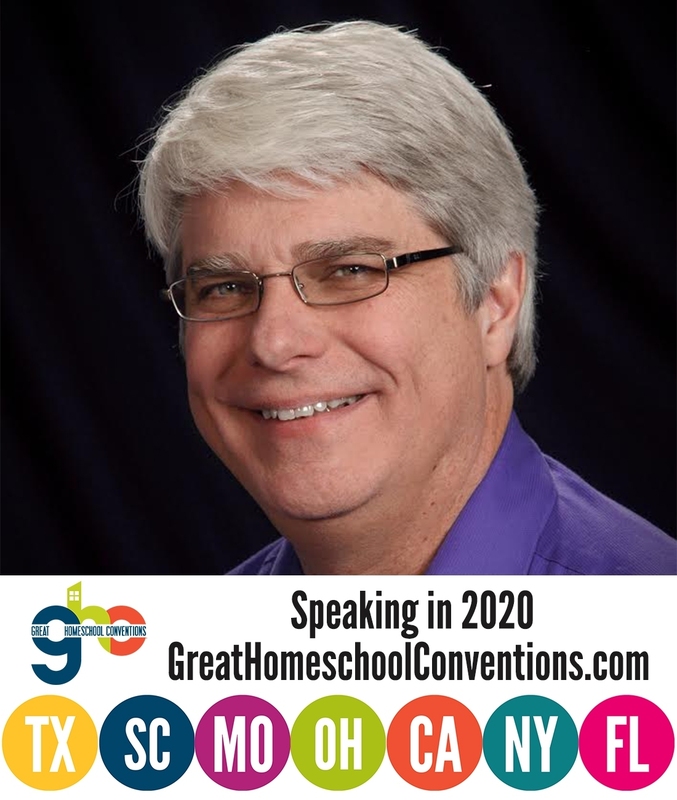 Out for More Than A Week Science Fiction Convention – WOOT!